If you plan to travel to Tunisia, make a half-day stop in the ceramic capital, Nabeul. Your eyes will be dancing around from the vibrant display of handmade color ceramics, glazed bowls, jugs, plates, tiles and all kinds of appealing pottery objects, spilling onto the streets and sidewalks and displayed in the town's courtyard of shops. These pottery and ceramic gems are the ancient tradition of Tunisian master craftsmen. In this tutorial, you will use Adobe Illustrator to design a Tunisian-inspired motif. We will use basic Illustrator tools, as well as tools like the Live Paint Tool and Symbols Tool. Plus you will learn some tips and tricks to speed up your workflow. After completing the design, we will upload it to customize our very own throw pillows and cushions. If you would like to expand your knowledge of geometric patterns, we have a series dedicated to Geometric Pattern Design tutorials. You can find many Tunisian graphics over on GraphicRiver, including many helpful maps for your design and infographic needs. Now, let’s start to create our motif! We are now ready to design our motif. In order to create a geometrical correct design, it would be a good start to turn on the Smart Guides (Command-U or View > Smart Guides). Now let's begin by drawing a 17-segment geometric flower, by first creating a single petal frame. Select the Ellipse Tool (L) from the Tools bar. Set null Fill and a Stroke of 15 pt (set from the top dock). To precisely create the ellipse, use the Ellipse dialog box by clicking once on the artboard. The dialog box opens up. Set the Width and Height at 500 px. Next, with the ellipse selected, Copy (Command-C) and Paste in Front (Command-F), to create the same ellipse on top of the original. Afterwards, Move the selection (Object > Transform > Move Transform or use the Command-Shift-M shortcut) to apply a Horizontal Distance of 99 px. To create the petal shape, we need to cut out the intersecting part of the ellipses. Open the Pathfinder panel: Window > Pathfinder. Select Shape Modes: Intersect. Take the Direct Selection Tool (A) from the Tools bar, and select the left and right anchor points. To design the base of the petal, Command-Shift-M to Move the anchor points by 45 px Vertical. Next, let's center the base of the petal to our artboard. Turn on Snap to Point: View > Snap to Point, so the selection snaps to the artboard center. Use the Selection Tool (V) to select the shape and snap it to the point marked center, highlighted in red by the Smart Guides. Select the Rotate Tool (R), and hold down Alt key to fix the Rotate Axis Point center at the base of the petal. This will open the Rotate dialog box. To calculate the radius you need for the 17 segments, divide 360° by 17, and you'll get 21.18°. So set the Rotate Angle at 21.18° (counterclockwise) or -21.18° to go clockwise. Select Copy to make a duplicate of the petal. Transform Again by using the shortcut Command-D, to repeat the rest of the petal rotations. Command-G to Group them all together. File > Save (Command-S). Now let's draw some ellipses around our pattern. Take the Ellipse Tool (L) and select a white Fill and no Stroke. Follow the Smart Guides and draw a 65 px Width & Height ellipse in the center of the motif. Then, draw an ellipse of 25 px with a black Fill and null Stroke in the center of the motif. Now we've created a 500 px radius petal, so the circumference of our flower should be twice that number for the diameter. With the Ellipse Tool (L), create a circle with a Width & Height set at 1000 px, null Fill, and black Stroke of 15 pt. Center it using the Smart Guides. If you want to make sure your object is centered to the artboard, open the Align panel (Window > Align). Simply select the object and choose Align to Artboard, from the Align Options dialog box. And then select Horizontal & Vertical Align Center. Next, we will offset ellipses around the motif. With the outer ellipse selected, Object > Path > Offset Path, and Offset: 20 px. Then set its Stroke at 10 pt. Then repeat Object > Path > Offset Path, and Offset 65 px. With the newly created path selected, let's repeat the offset with Object > Path > Offset Path, and Offset at 20 px. Set its Stroke at 15 pt. I've decided to scale up the artwork slightly to fit within the frame. Object > Transform > Scale. Set at a Uniform 115%, and OK.
Next, let's fill the spaces in the corners by creating a leaf-like pattern with the Arc Tool. Click where you want the arc to begin on the square reference point locator to determine the point from which the arc is drawn. Use the Smart Guides to draw an arc from the top intersect point to the ellipse intersect point, and another arc from the ellipse intersect point to the top leaf anchor point. Select the Direct Selection Tool (A) from the Tools bar, and select the top anchor point, to Join paths by Object > Path > Join (Command-J). Then repeat the leaf creations by drawing one intersecting the bottom left and top right of the base leaf. Follow the intersect points highlighted by the Smart Guides to align the paths properly. Afterwards, select the top anchor points of each leaf, using the Direct Selection Tool (A), and Join paths (Command-J). Group the leaf pattern together by hitting Command-G. Select the Rotate Tool (R), and set the Rotate Axis Point at the center of the motif. Shift‑Alt-Drag to copy and constrain the angle by 45°. As you drag, the axis of the reflection rotates and will snap to the angle and release. Repeat to fill the other edges. Select the first ellipse surrounding the center motif, and Object > Path > Offset Path, to Offset at 36 px, and OK.
Then open the Stroke panel (Window > Stroke), and set the Stroke Weight at 66 pt, select Dashed Line, and set dash-gap-dash-gap at 10pt-10pt-10pt-90pt, to create a double-dash pattern around. Make sure you select the Preserve Exact Dash and Gaps Length icon from the options. Next, we will create a small pattern within the floral motif. Select the Ellipse Tool (L), and with a black Fill, null Stroke, draw a single ellipse with a Width 23 px and Height 62 px. Next, draw two smaller ellipses with Width 15 px and Height 15 px on both sides of the single ellipse. Align them all properly by following the Smart Guides. Then, select the Anchor Point Tool (Shift-C), and taper the ends of the middle ellipse as shown below. And Group (Command-G) all three objects together. Using the Direct Selection Tool (A), select the group of circles and drag vertically down to the next rectangular gap, while holding down the Shift-Alt keys to constrain movement and copy the group. Afterwards, manually Scale down the group, from the bounding box, while holding down the Shift-Alt keys. Then repeat by duplicating the second group and moving it vertically down to the third rectangular gap, and use the bounding to scale down slightly, while holding down the Shift-Alt keys. Your motif should look similar to this. Group (Command-G) the three objects together. Select the Rotate Tool (R). Hold down the Alt key to fix the Rotate Axis Point on the center of the motif. This will open the Rotate dialog box. Set the Rotate Angle at -21.18° to go clockwise, and select Copy. Transform Again (Command-D) to copy the rest of the 17 segments. Next, we will add a circular pattern between our dashed lines. Take the Ellipse Tool (L) with a black Fill, Stroke to null, and draw a 23 px circle inside the center dash line. Then, draw another circle with black Stroke, null Fill, around the first. This will create dots around our circle. Group (Command-G) the circle with the dotted path. Select the Rotate Tool (R). Set the Rotate Axis Point in the center of the motif, by holding down the Alt key to open the Rotate dialog box. Set the Rotate Angle at -11.18° to go clockwise, and select Copy. Transform Again (Command-D), until you fill all the spaces around the dashed line. Take the Direct Selection Tool (A), and select the third ellipse around the motif. Object > Path > Offset Path, and Offset at 10 px. Select the icon Preserve Exact Dash and Gaps Length. Start with the strokes. To move faster, select one stroke, hit Select > Same > Stroke Weight, and it will select all strokes of the same weight. Next, we need to upload our color swatches, and to do that you open the Swatches panel (Window > Swatches). From the panel, click the New Swatch button or select New Swatch from the menu. I've uploaded a couple colors, to experiment with what works best. Let's apply color to our shapes. Using the Selection Tool (V), select the floral motif. Next, click on the Live Paint Bucket Tool (K), which is hidden under the Shape Builder Tool (Shift-M), and click on the selection. This turns the selected object into a Live Paint Group. So, when you move the Live Paint Bucket Tool (K) over them, the different sections that are ready to be painted become highlighted. The tool basically allows you to fill the gaps and shapes. Now try it, filling different colors in different areas. Take the Selection Tool (V) and select all three groups we created for the floral pattern, and Ungroup (Shift-Command-G) it twice from its group. Use the Selection Tool (V) to select the shapes of similar size, Group together by Command-G, and apply a color Fill from the Swatches panel of your choice. Use the Direct Selection Tool (V) to select the black circle encircled with a dotted path. Select each one and apply different Swatch Fills for each. Let's create a background for our motif. Select the Rectangle Tool (M), click once on the artboard, and the Rectangle dialog box will open. Set the Width and Height at 1500 px, and give the selection a dark blue color tone. Center it from the Align panel, by choosing Align to Artboard from the Align Options dialog box. And then select Horizontal & Vertical Align Center. Object > Arrange > Send to Back (Shift-Command-[). Select all the strokes with the Selection Tool (V). Object > Expand Appearance. Then, Object > Expand... to open the Expand dialog box. Check all Object, Fill and Stroke, then OK.
Then Object >Expand... again, but this time, check Fill and Stroke, then OK, so that the group strokes can also be expanded. Now all strokes are shapes. With the expanded shapes still selected, let's apply color to our gaps. Select the Live Paint Bucket Tool (K), to turn the selected objects into a Live Paint Group. Then hover over the different sections that become highlighted, and paint them the color of your choice. For the last bit, let's apply a Symbol to the artwork, so that we can add instances of that symbol multiple times into the background of the artwork without actually adding the art group multiple times. Open the Symbols panel, Window > Symbols. Select one of the circles with a surrounding dotted line group. Copy (Command-C), and then Paste (Command-P) to create a copy, and scale it slightly down from the bounding box by holding the Shift key to constrain proportions. Click the New Symbol button in the Symbols panel menu, or drag the artwork into that panel. By default, the selected group becomes an instance of the new symbol. To place our instance, select its thumbnail from the Symbols panel and then choose the Symbol Sprayer Tool (Shift-S) to add random instances around the background. Use the Symbol Shifter Tool, which is under the Symbol Sprayer Tool menu, if you need to shift the instances' direction. Great! Once you have exported your files, you can go to Redbubble, Society6, Vistaprint, Zazzle or any similar custom design websites and upload your files to create your pillows! Our Tunisian motif is done and ready for applying on merchandise. Wonderful job! You can use your imagination, add more symbols and details, or create more complex patterns by studying geometric design. I hope you enjoyed this creative process and learned some new tips and tricks that you can use to create more motifs in the future. Feel free to share your results in the comments below! I am a 🎖Creative Illustrator 💋Designer 🖋️ Sticker-Emoji Creator ❤ Storyboard Artist ✨Envato Tuts+ Author 📝 Children's Book Artist 📚. My artwork is inspired by pin-ups, fashion, comics, tattoos, and kitschy subjects. 🗺 My clientele base comes from all across the globe and through various platforms, like TV, web, and mobile apps 📱. Work with me and you will be guaranteed fast, quality work 💯!!! ❣ Get in touch!! 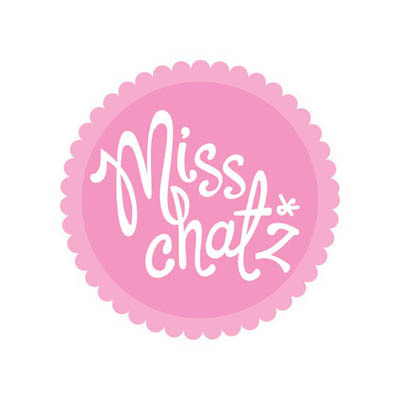 ✉ info@miss-chatz.com.